I have a friend who is a very special Marine. He is the guy, that if he does his job right, you will never know he existed. You will never know what he has done for you. You will never know the sacrifices he and his men have made for your safety, your freedom, and your future. When my boys asked what he did, I told them he was a "Master Jedi Marine" and since they love all things Star Wars, they were in instant awe. When my boys found out that lightsabers were not standard issue, they demanded we send two lightsabers to our Master Jedi, because how could he and his men be expected to defeat the bad guys without a lightsaber? Now he is properly armed. My Master Jedi doesn't expect a thank you for a job he enjoys and takes pride in, but he is trained to notice things. Like how there is not as many American Flags flapping in the wind as there was after The World Trade Center tragedy. He's noticed Iraq and Afghanistan are only acknowledged during an Election year. Even the media has backed off it's coverage, only reporting the kinetic engagements following the eternal rule that if it bleeds it leads. From the troops I'm in contact with, they have all noticed a decline in the American Public's support for them, not just My Master Jedi. It is these reasons that I started Words For Warriors in the first place. To show our troops they have not been forgotten about. My Master Jedi knows he has not been forgotten about. I would never allow that to happen. 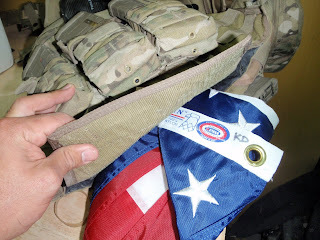 In an effort to share some of his experience with me, I sent him an American flag, which he carried in his vest on two missions, and flew over his base in Afghanistan. The initials on the corner of the flag show it is mine. He carried it with pride, I have no doubt. My boys were excited to learn he was shot at while carrying our flag, seems fittingly symbolic for him to be shot at while carrying an American flag as he fought for our freedom, no? 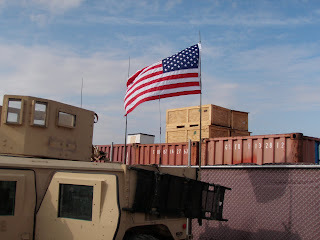 This is my flag flying in the winds of Afghanistan on December 16th, 2009. "I understand the struggle, hardship, and inconvenience that you go through to support people that you do not even know. But this package I hope finds you and your family with warm hears behind it. I have enclosed the flag as promised for your family and with it; it represents dedication that you and your family deserve... 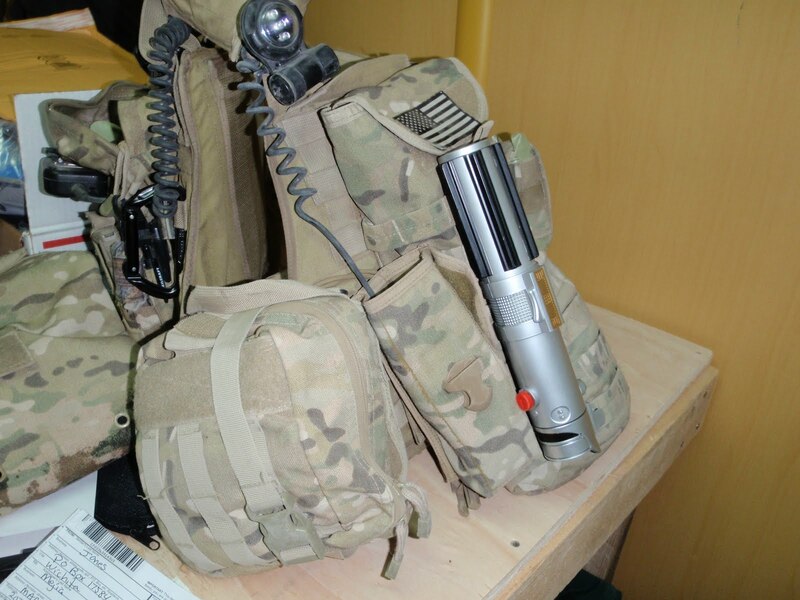 It has seen the torn country that the United States military is trying to rebuild and reorganize... "
Although I appreciate the thanks in my Master Jedi's letter I feel that he and his men deserve the thanks. One way I have done that is to frame the flag, with my initials showing, his letter, and nine of my favorite photos of him and his men. I have placed this trinity in my office for friends and family to see. This trinity invokes pride in everyone who has seen it. It is a trinity of instant American pride. I took pictures of this trinity to show my Master Jedi what I have done to honor him and his men's hard work. He wrote back telling me he thought is was "very patriotic of me" to frame everything. He showed some of his Teammates whom he believed felt pride at the images. I hope the pride was not only for their country, but for the honor, and thanks I give them by showcasing their handwork. Proving that in one house, our troops, and their sacrifices will never be forgotten. Even though I know my Master and his men don't expect a thank you, I think they deserve one. 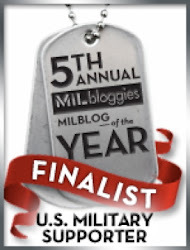 I encourage you to leave a comment of thanks for them to read. I know it will mean more than you know.